Why do digital matters have an impact on the real world? The Catalan language: geographically small, digitally universal. ¿How do you say to mint in Catalan? 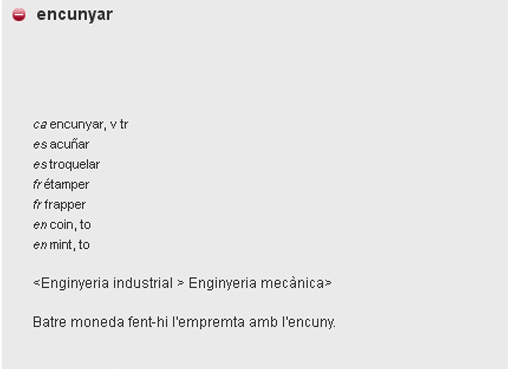 Cercaterm’s answer is quick: encunyar, which in Catalan sounds like enconyar (get the hots). So now the difficult task is convincing your client to use it on their website! Using Catalan correctly is a real need for journalists, translators, professionals and accurate people. The increasing use of the TermCat resources is the best proof of it. 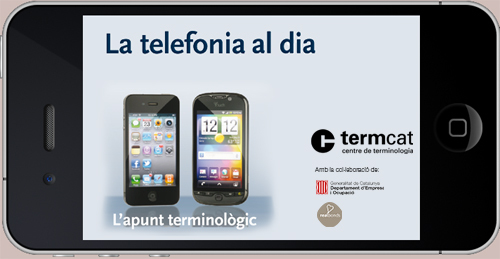 We came to improve the experience of use of TermCat and they made us to fall in love with the language. We are even contributing with new neologisms! Handshakes are in fashion in Portugal. What’s going on? The symbiosis of electronics hiding behind the make.believe generation. Quimera, the social CRM that made them all happy readers. Are you looking for your realbond?